When your product line consists of multiple options (versions, formulas, flavors, etc. ), how can you help consumers in store navigate their way to the right choice? Create a shelf-edge, tech-enhanced Product Selector to give shoppers all the information they need to make just the right choice. 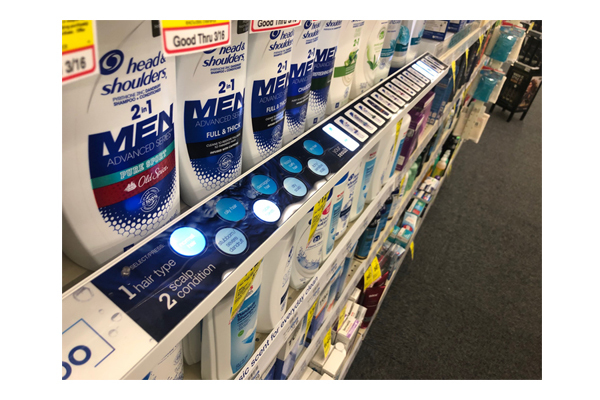 Americhip partnered with P&G and its agency PEP for the Head & Shoulders brand to create an innovative, shelf-top LED product selector that went into CVS stores around the country. Americhip’s electronics engineers created a custom lighting mechanism to drive this innovative display. 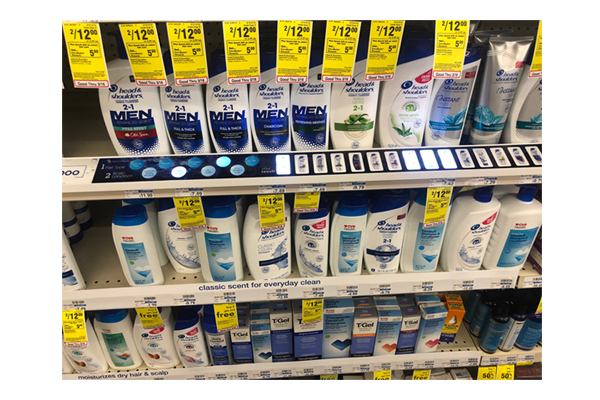 Consumers answer several questions about their hair type, and then our device illuminates the 2 or 3 products among the 16 shown to identify the best choices given their specific needs. Americhip also designed a sleek 48” custom metal housing to hold the electronics panels. The housings mounted to the top of the shelf to make the units easy to operate for consumers. The units are thin profile and powered by AA batteries mounted inside the housings. 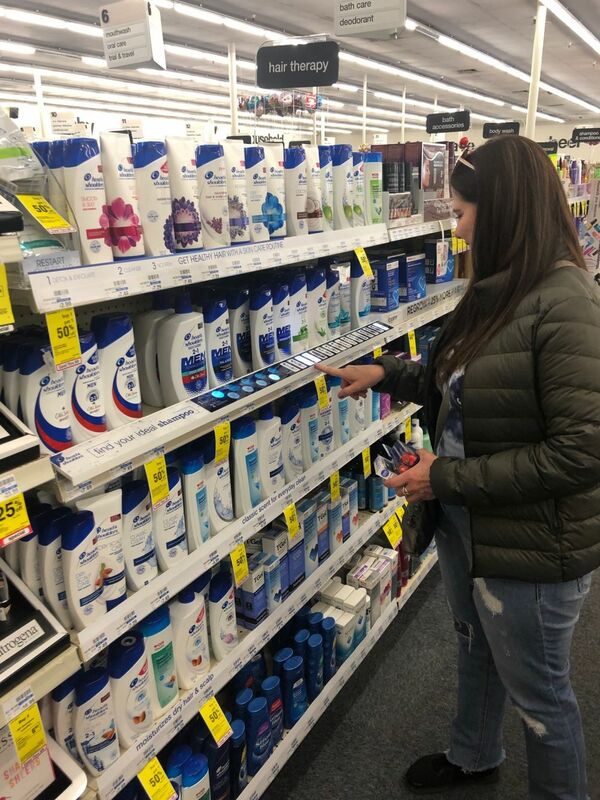 Guide your shoppers to just the right product for them with Americhip’s line of shelf-edge, tech-enhanced product selectors. Click here to see the LED Product Selector in action.